We often assume that cats can't be trained, and don't need to be. 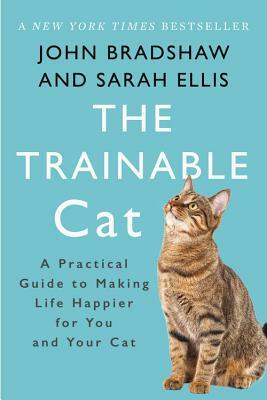 But in The Trainable Cat, bestselling anthrozoologist John Bradshaw and cat expert Sarah Ellis show that cats absolutely must be trained in order to enrich the bond between pet and owner. Full of training tips and exercises--from introducing your cat to a new baby to helping them deal with visits to the vet--The Trainable Cat is the essential cat bible for cat owners and lovers. John Bradshaw is the foundation director of the Anthrozoology Institute at the University of Bristol and the author of the New York Times bestsellers Cat Sense and Dog Sense. He lives in Southampton, England. Sarah Ellis is a feline behavior specialist at the charity International Cat Care and a visiting fellow at the University of Lincoln. She lives in Wiltshire, England.